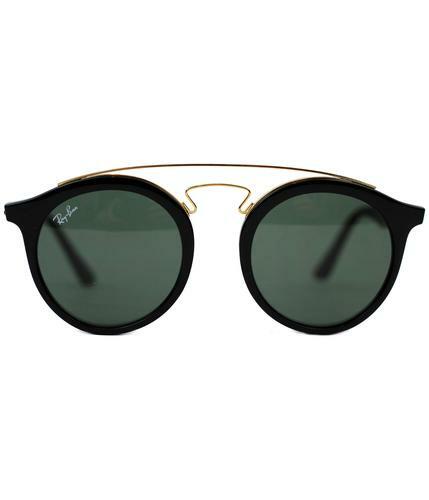 A stunning new style for the iconic Ray-Ban Round Sunglasses for this season. 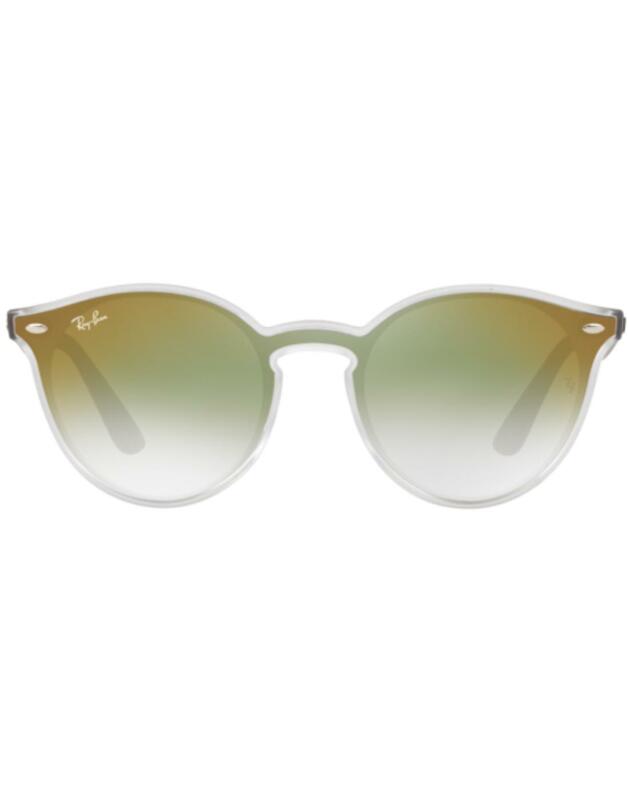 The Blaze Clubround in green mirror gradient lens-over-frame. A combination of classic round and Clubmaster sunglasses styles, the unique lens-over-frame technique gives a futuristic, slightly surreal look to the frame resulting in an eye-catching, daring and illuminating effect. Green gradient front with matt olive arms and silver temples. 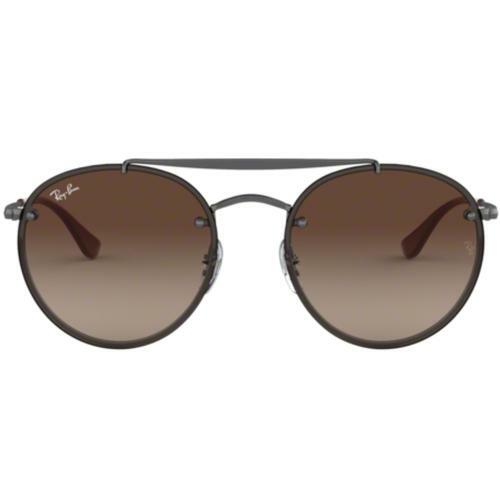 A fab new Clubmaster Round Sunglasses from Ray-Ban. Made in Italy. 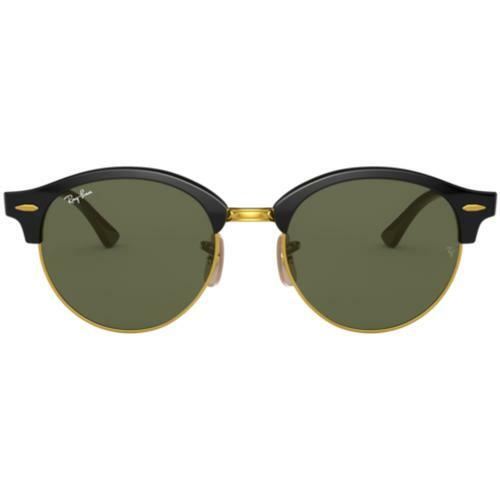 -Blaze Clubround RAY-BAN Mirror Sunglasses in Green. -Iconic Ray-Ban 'RB' etched into lens. 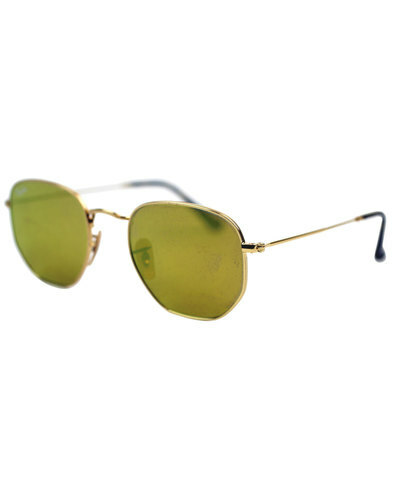 -SKU: RB4380N 6358W0 37 Injected Unisex Sunglass Green. Composition: Nylon plastic frame with standard plastic mirror lens.